At the dawn of the Second World War, the island nation of Britain faced the grim possibility that it might be starved into defeat owing to a German naval blockade. To assess this threat, a group of Cambridge dieticians took part in a secret experiment to see just how malnourished they could become. Top Image: Seawolves by Nicolas Trudgian. Of all the threats facing Britain during World War II, it was the U-boat peril that frightened Winston Churchill the most. Indeed, the German blockade in the Atlantic was no joke. Britain, on account of its geographical situation, required more than a million tons of imported material each week in order to survive and fight the Germans. Churchill, ever mindful of their predicament as an island nation, later wrote: "The Battle of the Atlantic was the dominating factor all through the war. Never for one moment could we forget that everything happening elsewhere, on land, at sea or in the air depended ultimately on its outcome." It was a desperate time that called for desperate measures. At the time, Britain was quite dependant on food imports; it imported half its meat, more than half its cheese, and a third of its eggs. To find out, a group of medical researchers relocated themselves to the Lake District to conduct a secret study — and they used themselves as the test subjects. The research team, which was led by Cambridge University physiologists Elsie Widdowson and Robert McCance, conducted an experiment in which they simulated a situation in which a German shipping blockade had curtailed imports — and the only food available was what could be produced locally. Everyone would get equal shares of the available produce. To work out what this might be, Elsie and Mac sought advice from Frank Engledow, a professor of agriculture who later helped set wartime food policy. British food production in 1938 became the basis for the experimental diet: one egg a week (a third of the pre-war consumption); a quarter of a pint of milk a day (half the pre-war consumption); a pound of meat and 4oz of fish per week, assuming trawlers would be commandeered for patrols. No butter and just 4oz of margarine. But they could eat as much potato, vegetables, and wholemeal bread as they wanted. The eight guinea pigs would follow this diet for three months. Happily, the gloomy spectres of famine oedema, scurvy, and anaemia did not arise. The guinea pigs felt fit and well on the ration and could do their usual work. But there were two main difficulties. One was that meals took a long time to eat. Wholemeal bread without butter took ages to chew. The sheer quantity of potato needed to make up calories also took time to eat. All the fibre in the diet caused 250% bigger poos. They measured it. Interestingly, eating all that starch also produced a “remarkable” amount of flatus — or gas. The researchers also simulated hard physical work by embarking on intensive sessions of walking, cycling, and mountaineering. The final report, which stated that Britain could stay “fighting fit” even if all food imports were lost, was circulated to government departments. The study, however, was kept a secret until after the war. As more foods were rationed, the experiment provided assurance that home front health was secure. Had the conclusion been different, Britain may have had to decide whether to distribute the limited food equitably – and suffer the consequences of widely degraded health – or give more food to workers most important to the war effort. Elsie and Mac's experiment showed this horrible reckoning was not necessary: Britain could afford to be fair and still be fighting fit. As it turned out, the experiment had been too severe. Rationing was always more generous with butter, sugar, meat, and fish than Elsie and Mac's diet. 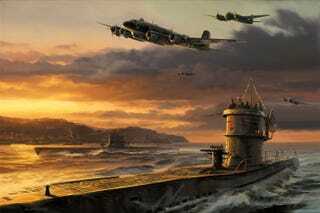 Convoys from America were able to run the U-boat blockade and flesh out British food supplies.